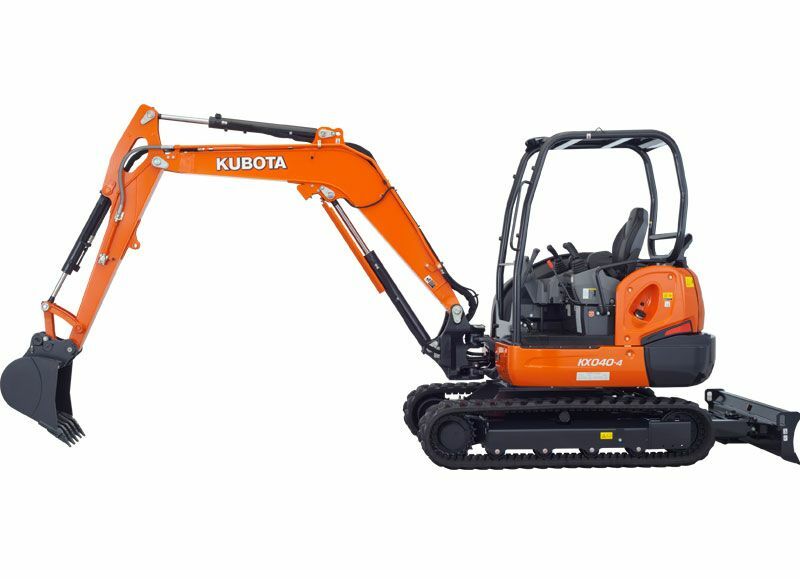 The minimal tail swing Kubota U55-4G1 Excavator has been significantly re-engineered with more strength, stability, comfort and standard features. Just when you thought it couldn't get any better. The 2.5" overhang (0" with wide steel tracks) provides better access to confined work spaces. 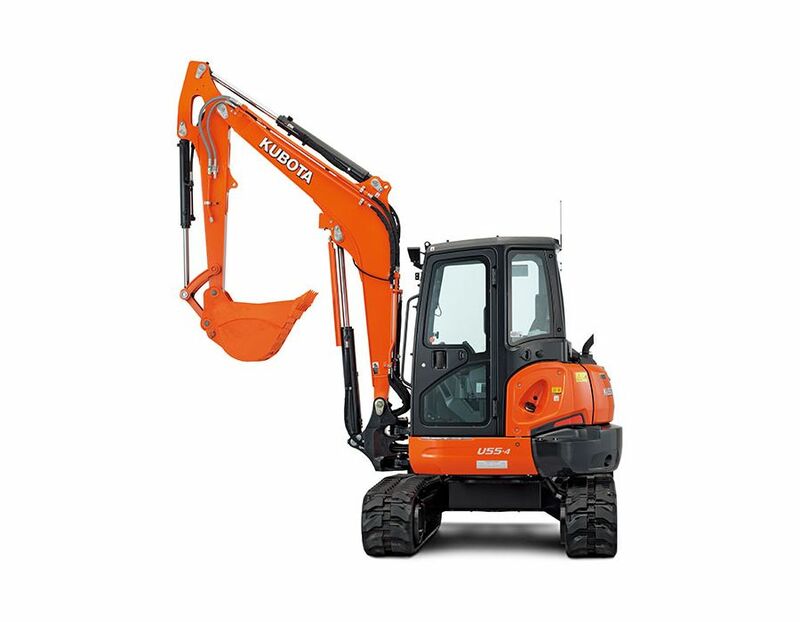 Kubota’s improved 3-pump load sensing hydraulic system ensures smoother operation, regardless of load size. 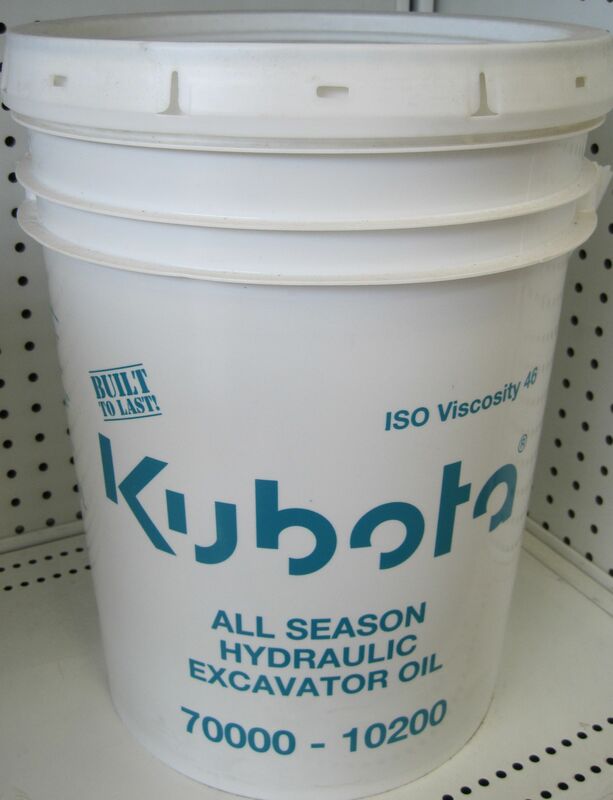 It allows hydraulic oil to flow according to the specific range of the operator’s lever motion. Additional benefits include greater fuel economy and smoother travelling. 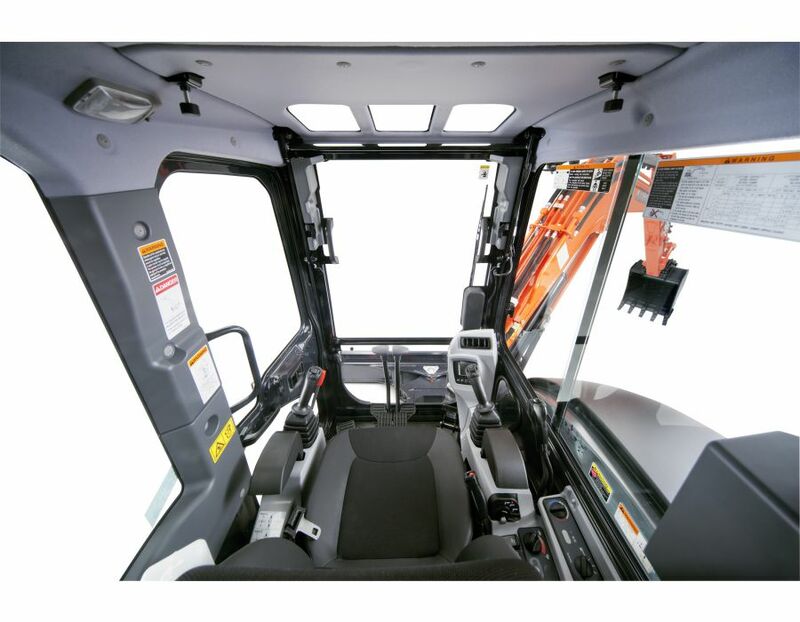 The auto down shift system enables automatic travel shift from high to low depending on traction effort and terrain. 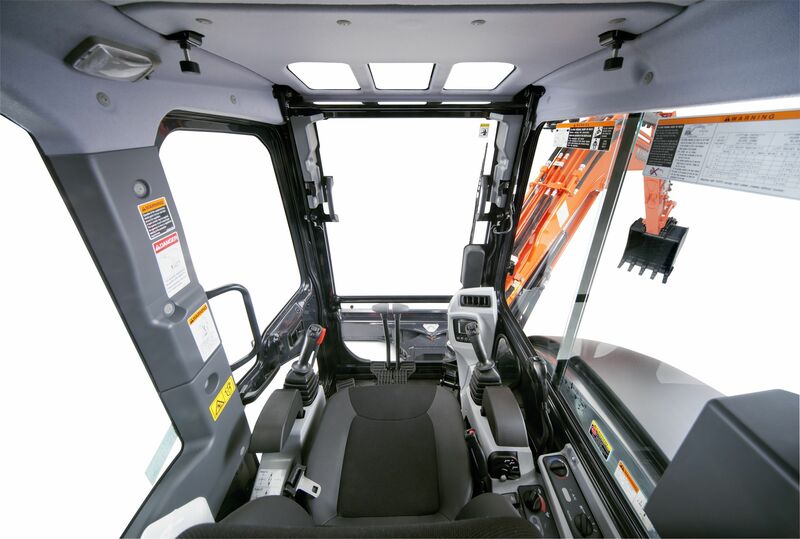 This gives smoother simultaneous operations when dozing and turning. 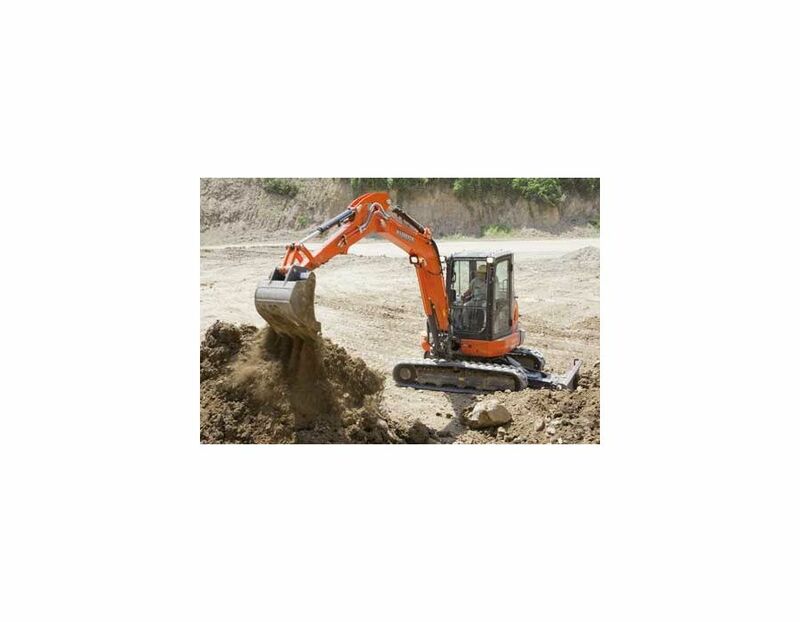 With a digging depth of 11'10" and auxiliary flow of 19.8/9.8gpm, and a rubber/steel track, this excavator has it all. CRS & DPF - The Common Rail System (CRS) electronically controls the fuel injection timing and amount in stages rather than all at once for optimal combustion. The results are great efficiency, better fuel economy and less engine noise. 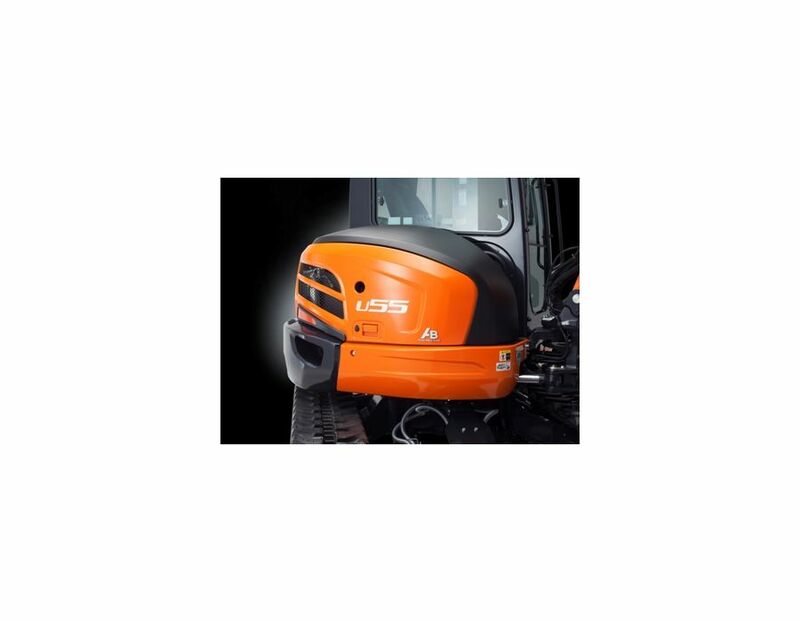 Its combination with the Exhaust Gas Recirculation (EGR) and Diesel Particulate Filter (DPF) Muffler reduces emissions to make the U55-4G1 Tier IV compliant. 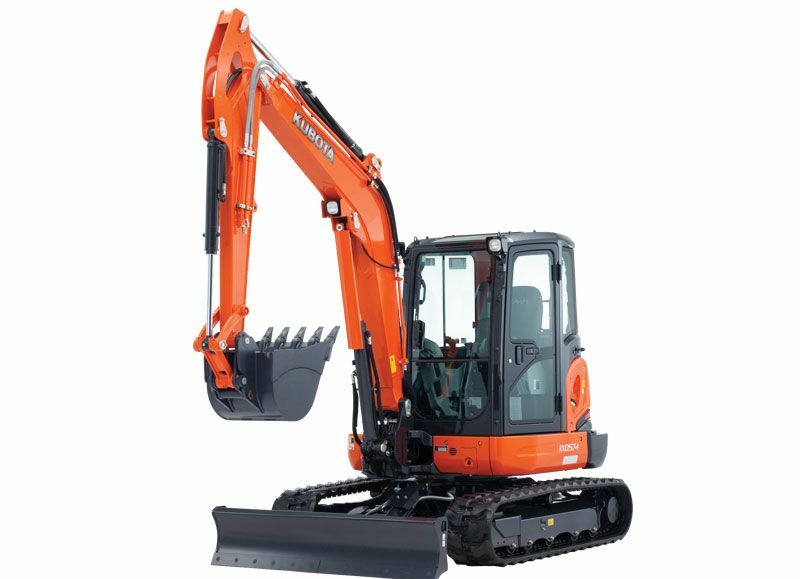 Eco Plus - For tough digging applications, use Standard Mode and experience a 4% productivity improvement over the prior model on U55-4G1. 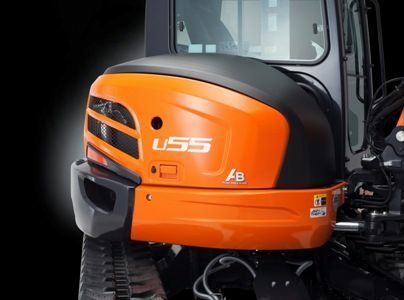 Activate Eco Mode with the flick of a switch for up to 8% fuel savings over Standard Mode on new U55-4G1. Float Position - The float function is a standard feature on the U55-4G1*. 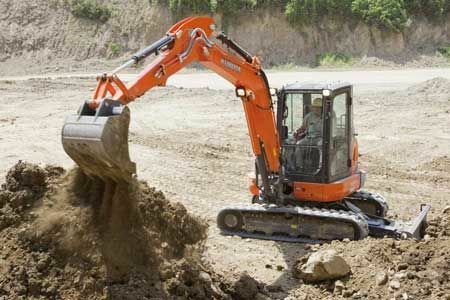 Ground finishing work can be completed quickly and simply without the need to adjust the dozer height. After backfilling, simply travel backwards along the covered ditch with the dozer in the float position. 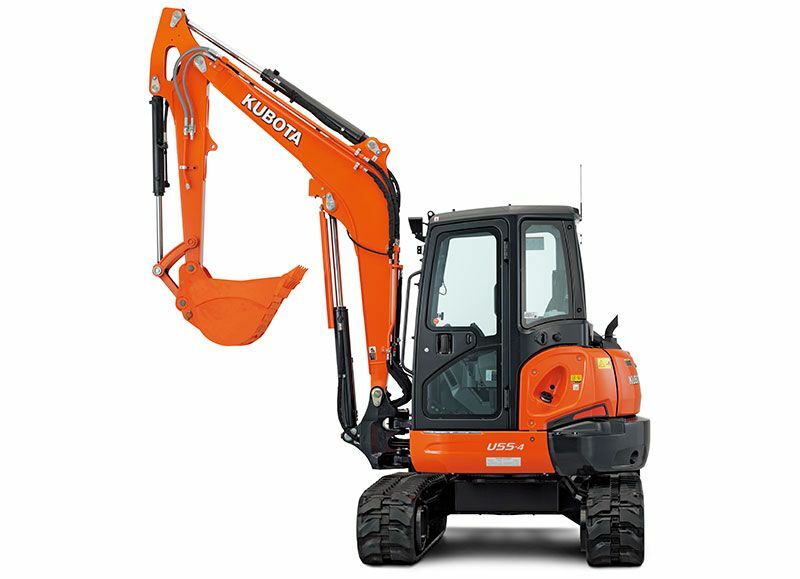 The Kubota Excavator U55-4G1 is available at Kooy Brothers Equipment Ltd., located at 1919 Wilson Avenue in Toronto, Ontario.